In today’s digital age where everyone uses social media to communicate, is email too passé to contribute to your business’ success? Research claims that email still contributes a significant percent in overall sales for most business. According to Econsultancy, from 2012 to 2016, sales that were attributed to email marketing rose from 18% to 23%. Contributing to almost a quarter of the entire sales, any business, should consider boosting their email marketing budget. Email marketing can be as daunting as reaching out to prospects and clients through cold calls. However, a business can leverage email in a way where it requires less time but gives more consistency through marketing automation. Why do businesses need to invest in Marketing Automation? Stated above are indications why sent emails need to be more personalized and engaging. With the help of marketing automation, it will allow businesses to segment prospects and clients so they can get updates on what they are interested in. Moreover, the features involved in marketing automation allows an email to be sent in a particular time wherein readers are mostly engaged. Through these methods, readers, prospects and previous customers are more likely to purchase on what a business have to sell or offer. 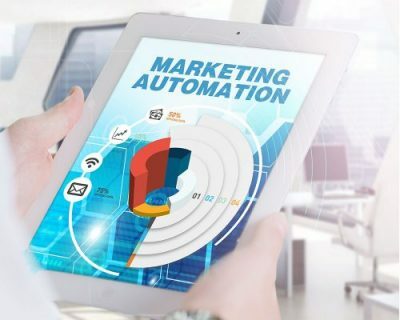 For more information on marketing automation and how it works, visit WSI’s blog at https://www.wsiworld.com/blog/marketing-automation-why-is-it-a-vital-investment-for-your-business/.